Email was supposed to make our lives easier. In a matter of minutes, you can fire off multiple messages to teammates across the globe; you can schedule and plan meetings and events; you can share files. It saves time, energy and even money. So why do we hate it despite the ease and convenience it offers? We are drowning in messages, can’t get our work done, and can’t get the response we want from our efforts. It causes misunderstandings. Abbreviations, misspellings, bad grammar, misuse or confusion of tone, humor or sarcasm…there are innumerous opportunities for emails to be misunderstood or misinterpreted by the recipient. It’s impersonal. 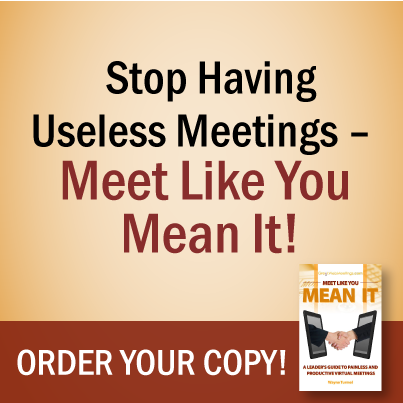 Rapid-fire e-mails lack the richness and quality of face-to-face communication. There are no facial expressions, body language or vocal cues and they can often fall flat, leaving the recipient to feel overlooked or unimportant. It’s time consuming. Because it’s so easy, it’s often overused. A study by McKinsey Global Institute and International Data Corp. found that email is the second-most time-consuming activity for workers. With each ping, comes another distraction, resulting in major disruptions to work flow and diminished performance. It’s time to take control. It’s time to manage your email, instead of letting your email manage you! This video course is for you! 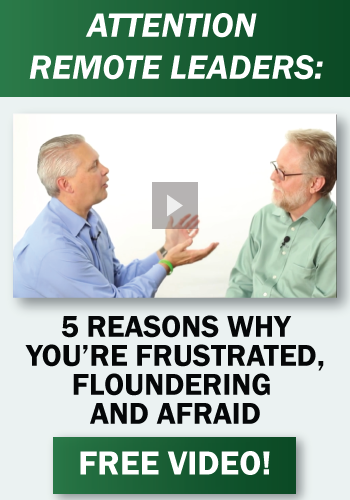 Join Wayne Turmel, co-founder of The Remote Leadership Institute, as he guides you through this powerful video course, Writing and Managing Email. You’ll learn effective, yet simple techniques and tactics you can immediately implement to radically improve the quality of your written communications and productivity. 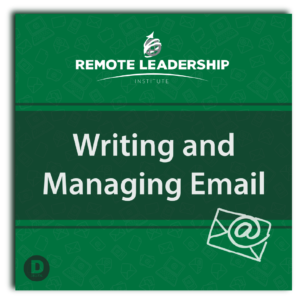 The Writing and Managing Email video course consists of two downloadable video modules and accompanying learning materials. The pre-work PDFs that you receive are a practical way to assess and analyze patterns of your email inbox that can be habits holding you back from ultimate productivity and success. All of your learning materials can be quickly and instantly accessed from anywhere, using our members-only site. 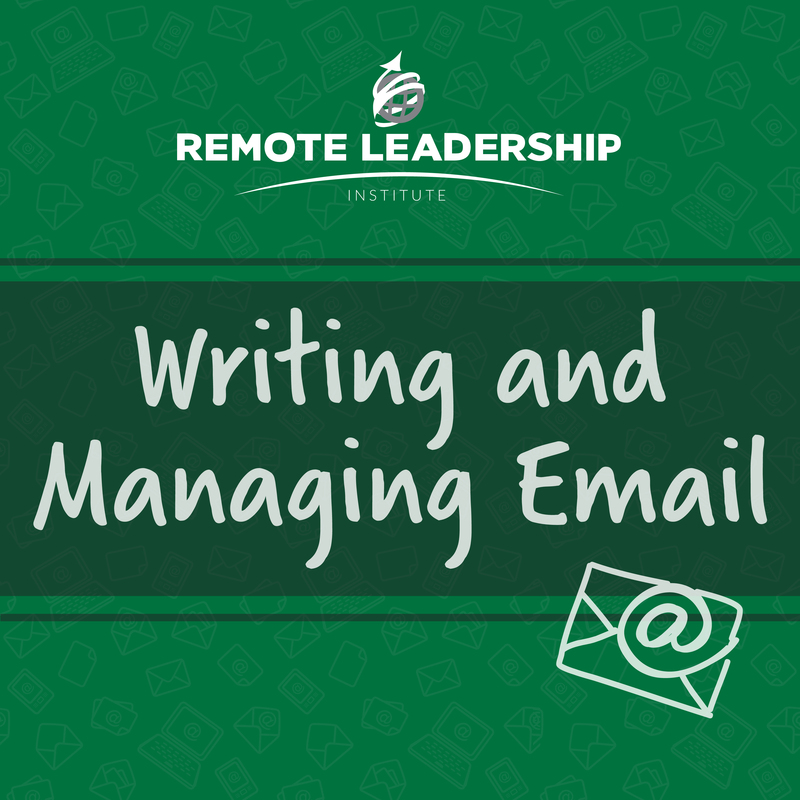 Email is the one of the most powerful communication tools that you have as a remote leader. With the strategies that you’ll learn in this program, you’ll be more efficient, productive and successful in all of your written and electronic communications! As added value to our learners, this course qualifies for “Class B” PDUs for members of the Project Management Institute, as well as Continuing Education credits for organizations such as SHRM (Society for Human Resource Management) and others. Check with your accrediting body. Want more? 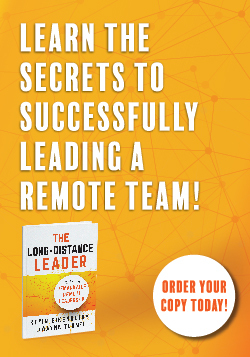 Learn how the full curriculum of training solutions at the Remote Leadership Institute can develop critical thinking skills to make the most of technology at your disposal and achieve success with less stress! We are also now offering individual classes in How Leaders Create and Manage Remote Teams, Leading Effective Virtual Meetings, Skype for Business for Leaders, and Remote Goal Setting and Accountability. Available live or on-demand.